Pachysandra is often planted as a ground cover in shady areas where many varieties of grass will not grow. Once in the ground, pachysandra will spread quickly even if left alone. Once established, it can be hard to stop. Gardeners often find that it takes over not just open ground, but also any other vegetation in its path. The easiest and most efficient way to get rid of an unwanted pachysandra bed is to dig it up. If this is done carefully, the bed can be transplanted elsewhere. Water the pachysandra bed with 1 to 2 inches of water to make the underlying soil easier to penetrate. Use a sharp spade to cut parallel lines across the pachysandra bed. Each line should be roughly 3 inches deep and spaced14 inches apart. Divide the long rows into 3-foot-long sections by cutting 3-inch-deep lines that are perpendicular to the lines that created the rows. Dig up each 3-foot section of the pachysandra bed. 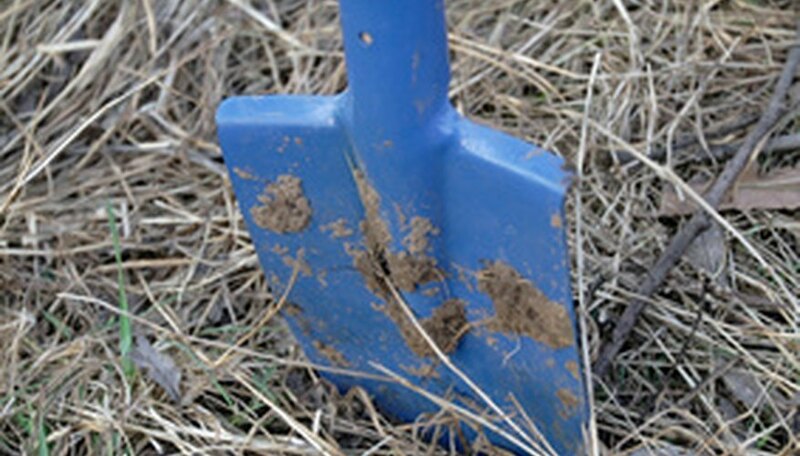 Wedge your spade under the narrow edge of the section and lift it from the ground. With a little wedging and lifting, the whole section will roll back like a carpet. Lay the sections of pachysandra in another area of your yard to replant them. Or add the pachysandra to your compost if you're not planning to replant it.